Williamsburg Transitional beauty on almost 1 acre. Pool with sheer decent waterfall, fire pit with fire and ice glass for great night conversations around the pit! No backyard neighbors. Backs to Berts Field Park with natural woods and jogging trails. Great sunrises from 28 x 15 back patio. Transitional-contemporary design with updated most everything! All the new grey tones, Quartz counter tops throughout. REMODELED from top to bottom. 4 car garage and room to build another detached garage! 2 suite gym with free weight room. 57 foot Great Room on second level with so many possibilities -dance floor, sleepovers, office lectures, church meeting, block parties you will have the room others only dreamed of! Master plus 3 bedrooms downstairs. Regulation lighted tennis court. Hand scraped hardwoods MEDIA ROOM upstairs. Nanny quarters-studio apartment upstiars with kitchenette, 2 living areas and private bed and bath. Chef’s kitchen with all Thermadore appliances. Over-sized 10-x 5 quartz island. Owners Retreat with 65 square feet of shower space and 400 square feet of closet space. 3 cedar closets. Free standing smart tub, heated. 3 Fireplaces. Pool completely renovated too. Extra play yard for the dogs, kids and swing set. Even dog house conveys. Great views from upper balcony off the great room. Located off Preston. Great N. Dallas location. Tree lined circle governors drive. Palm trees and Crepe Myrtles. Steel coated upgraded roof. Security gate. RV and Boat Parking. Extensive concrete -extra parking. Garages are extra deep and wide to accommodate big trucks. Wired for whole house sound. 4 zones of HVAC. Study can be 5th bedroom downstairs. View the lifestyle video with aerial views. 360 West Magazine named Sharon Hodnett as BEST AGENT/TOP PRODUCERS FOR 2017! Oprah Winfrey Magazine has invited Sharon to be featured in “O” Magazine. The research department offered a profile add in the April 2018 issue. There will only be 3 agents invited to participate in this special real estate issue. Sharon has been the only Keller Williams agent invited to participate! Sharon will also be featured in El Décor Magazine. Ranking in the top 1000 agents across the nation per REAL TRENDS , Sharon is published in the Wall Street Journal for outstanding production. 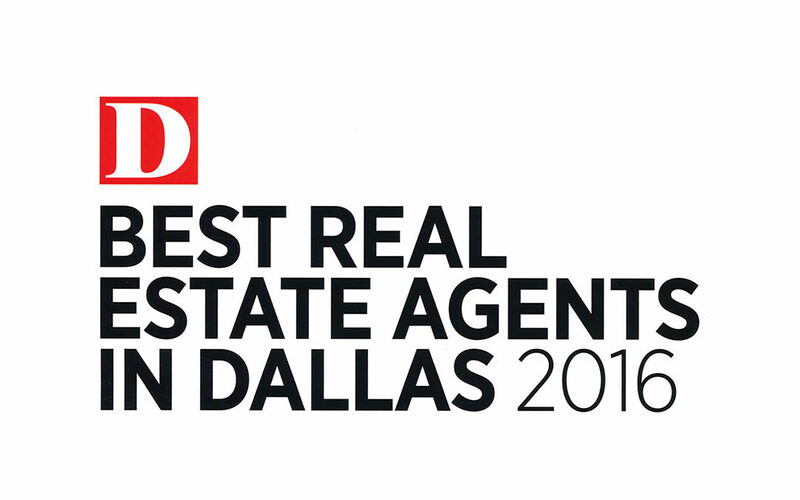 Real Estate Executive Magazine named Sharon as Top 100 for North Texas. Sharon and her team averages 37 days on the market and sells for 4 percent higher sales price than the average national agent. Leading a team of 10 buyer agents and 4 office support staff, Sharon runs a "well- oiled machine"! Team Hodnett just won the "Pulse of the City" award for outstanding customer service in 2016 and 2017. Sharon has been recognized by Texas Monthly, D Magazine, Fort Worth Business Press and Fort Worth Weekly for "Best Agent of the Year for 2015. "Knowledge is Power" and Sharon brings 28 years of local real estate experience to the DFW market. Currently Sharon ranks as the number 4 agents at the Keller Williams Southlake office. There are over 700 competing agents. The company closed over 1 Billion in sales. We are the number one Keller William office in the DFW area largest and most productive office in the entire Keller Williams system! We perform better than any of our competitors by two thirds more volume and sales. See our charts! Team Hodnett averages 15 homes a month. Buyer specialists on Team Hodnett are top professionals in the field and have the knowledge and expertise to make your home buying an experience an excellent one. They work for you to get you the best price on the best terms. In this competitive market, they know how to win multiple offers with some of the best tricks of the trade! Sharon is a Guild Member of the Institute for Luxury Home Marketing and can place luxury listings on the number one Luxury site in the world. LuxuryRealEstate.com is the number one luxury site in the world! Your luxury listing will be placed on www.LuxuryRealEstate.com, . Proxio is an international site that translates listing into 19 different languages! We also place luxury listing on a Chinese international site for maximum exposure across the globe! Luxury listings have exposure to Wall Street Journal, New York Times, Robb Report and Jett Set Magazine. Please visit www.TeamHodnettLuxury.com as well for an additional webiste that features our luxury listings only. As one of the elite agents in Luxury Division at Keller Williams Southlake, monthly ads are part of the overall luxury divisions marketing efforts in magazines such as Society Life and 360 West. Listings are rotated on a monthly basis. Sharon has been a part of the television and radio for three years, appearing as a guest host on Channel 8, Live Love Laugh Today, The Home You Want To Own segment. Sharon specializes in new construction, relocation, and waterfront properties. Northeast and Northwest Tarrant County is her specialty. Southlake, Colleyville, Grapevine and Keller are the main areas of focus. Services include placement/virtual tours on TeamHodnett.com, Realtor.com, Zillow and TourFactory.com. There are over 300 sites overall that will feature your home! We spend over $100,000 per year in advertising. Once your property is syndicated, your address will appear in over 100,000 searches and approximately 160 links to your professional tour with high definition photos. We cast a wide net to expose your property locally and globally! A Native Texas, Sharon is a mother of five children and a grandmother of eleven Her hobbies include singing, playing the piano, gardening, drama and spending time with her family. On our website you can set up your own custom searches and have access to every listing in the MLS system at your fingertips! Sharon Hodnett receives yet another series of awards and recognitions in 2018! Adding to her April 2018 feature in Oprah magazine she has most recently been recognized as America’s Top 100 Real Estate Agents® and received an award for Excellence in Customer Service from Pulse of the City News. Sharon Hodnett will soon be featured in Architectural Digest magazine. SOUTHLAKE,TX—August 23, 2018– AMERICA’S TOP 100 REAL ESTATE AGENTS®Announcing the selection of Sharon Hodnett among America’s Top 100 Real Estate Agents® for 2018. 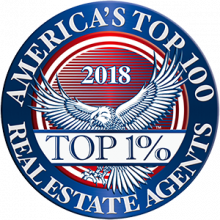 Selection to America’s Top 100 Real Estate Agents® is by invitation only and is reserved to identify the nation’s most esteemed and skilled Real Estate Agents and Brokers with a history of routinely selling homes above market value. This award follows an April 2018 feature in Oprah Magazine where Sharon Hodnett was recognized as the “Luxury Realtor® Leads the Way with Marketing Innovation.” Not letting these accolades slow her down, Sharon Hodnett will next be featured in the August 2018 edition of “Architecture & Design” by Architectural Digest and a recent announcement from Pulse of the City News honors Team Hodnett with achieving FIVE STARS for “Excellence in Customer Service.” Pulse of the City News independent research identifies businesses that deliver on their promise of exceptional service. 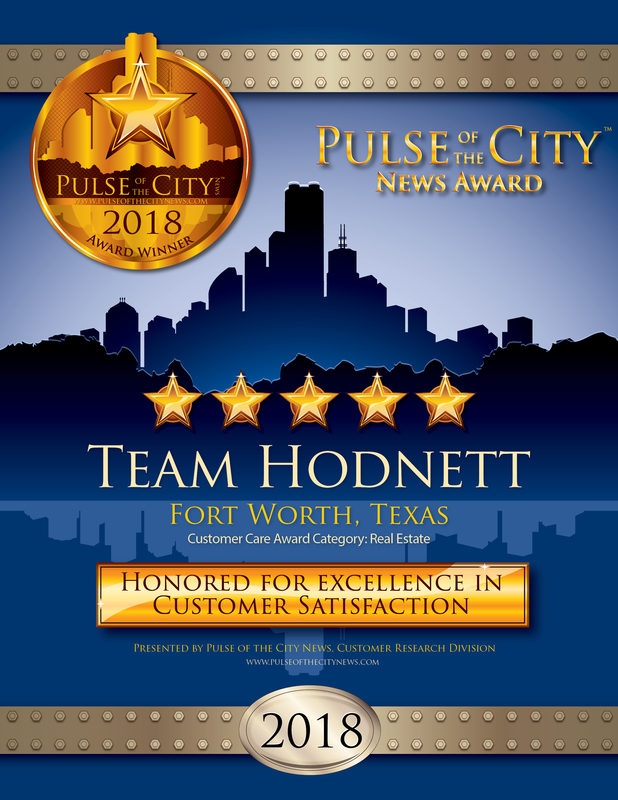 As top-performers in their industry, TEAM HODNETT in SOUTHLAKE, TX earned a top rating of 5 out of 5 stars and the 2018 Pulse of the City News Award for Excellence. Sharon Hodnett and the rest of her team are undoubtedly the leadership team you want by your side in any real estate transaction. To be continuously recognized in this competitive Dallas/Fort Worth real estate market is of noted importance and demands recognition. Reach out to Sharon Hodnett and Team Hodnett of Keller Williams Southlake for all of your real estate needs in confidence that you will be appreciate the benefits of their knowledge, experience, and respect as the most awarded Realtor® in the DFW area. Sharon Hodnett, Luxury Specialist with Keller Williams Southlake, is a native Texan. She is a mother of five children and a grandmother of eleven children. Her hobbies include singing, playing the piano, gardening, drama and spending time with her family. “Best of 2015” by Fort Worth Weekly, “Texas Super Real Estate Agent” as featured in TEXAS MONTHLY, “Five Star Realtor – Best in Client Satisfaction” by Fort Worth Business Press, and recognition by D Magazine, Texas Monthly for “Outstanding Performance” and “Top Producing Agent”. 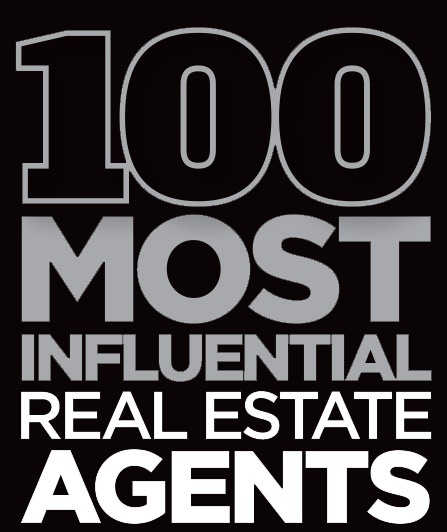 According to Real Trends, Sharon is ranked in the top 1000 real estate agents nationwide. She is soon to be published in the Wall Street Journal. Sharon holds a Certified Luxury Home Marketing Specialist Designation (CLHMS) by the Institute of Luxury Home Marketing. She is an active member of the National Association of Professional Women (NAPW). Headquartered in Southlake, TX, Hodnett is a Realtor brokered with Keller Williams Realty.